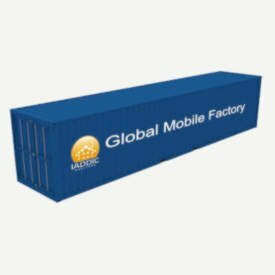 The Global Mobile Factories are a rugged set of systems that travel from job site to job site enabling the creation of the major components of a building envelope for shelters, הייזער, שולן, קליניקס, places of worship and other structures. 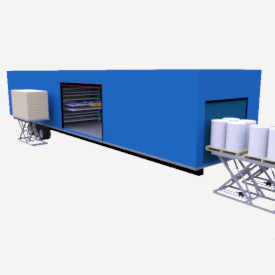 The Mobile Factories enable the contractor to capitalize on raw material pricing and reduced costs associated with transporting and shipping finished goods. They also offer the advantage of being available when needed and therefore reduce inventory costs and logistics bottlenecks. די מנהג געבויט פאַקטאָריעס אַרייַננעמען אַלץ דארף צו בויען די זופּן פּאַנעלס, ראָאָפינג, און פראַמינג אויף פּלאַץ. 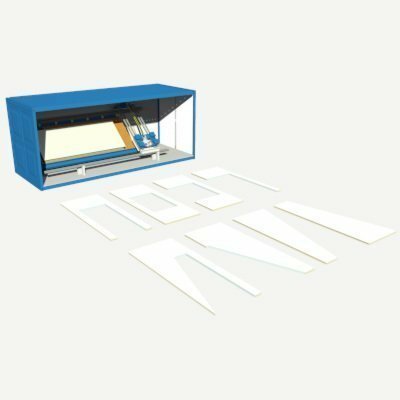 The Global Mobile SIP Panel Factory is the primary factory used to deliver on quality and repeatability for large volume SIP Panel requirements. 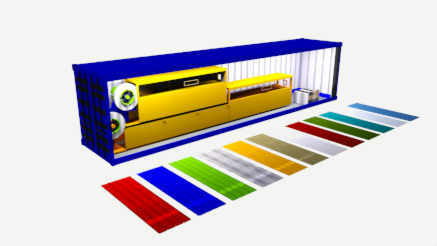 דעם custom-built factory includes everything needed to manufacture the SIP Panels. 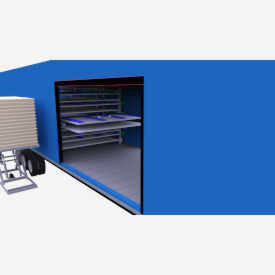 It is self-contained with an electrical generator and a pneumatic (air compressor) system to drive the equipment.